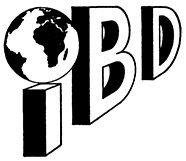 IBD continuously monitors and updates the information presented on this website. Despite taking the utmost care, data might have changed in the meantime. I therefore assume no liability and make no warranty as to the timeliness, accuracy and completeness of the information provided. You will also find links to other internet sites on my web pages. Please be aware that I have no control over the creation and content of these linked pages. I therefore reject all liability for the timeliness, accuracy, completeness or quality of this external information. Against this background I explicitly dissociate myself from all contents of these external websites. This disclaimer applies to all links to external internet pages and their content accessed through this Website. I take the protection of privacy and the security of your personal data very seriously in the planning and execution of my internet activities. My data protection measures comply with the provisions of the German Federal Data Protection Law (Bundesdatenschutzgesetz, BDSG) and other data protection regulations on the internet. If you send me an enquiry by email I store your data for computer-aided processing and for statistical purposes. I will protect your data from unauthorised access and misuse and will not pass your information on to third parties. You have the right to request, free of charge, access to your personal information stored in my system. You are further entitled to amend incorrect data or block and delete data stored about you.